Your work is wireless. Now printing can be, too. Add wireless connectivity to any Ethernet-compatible printer or multifunction printer (MFP) that needs it. 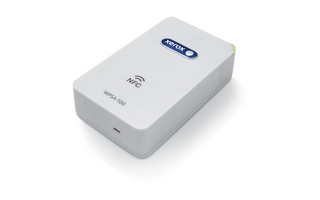 The Xerox® Wireless Print Solutions Adapter seamlessly connects your Xerox printer or MFP to modern mobile and desktop workflows, regardless of your office environment.